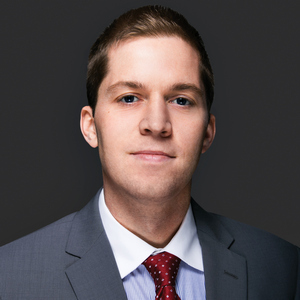 Seth Murray is a Senior Manager in the Pittsburgh office of LitCon Group, LLC. Mr. Murray has over ten years of consulting experience providing forensic accounting, economic damage assessments, valuation, and litigation support services to clients in various industries. Mr. Murray has assisted counsel and their clients in analyzing and evaluating damages and loss calculations in commercial litigation matters including business interruption, lost profits, product liability, and contract disputes. He has significant experience preparing and evaluating damage claims, and assisting with issues from discovery through post-trial matters. In addition, he guests lectures at his alma mater, Grove City College, on forensic accounting and business valuation topics. Mr. Murray has provided cost, schedule and damage services in various construction disputes arising from delays, acceleration, changed site conditions, terminations, and change orders. Damages components evaluated include lost productivity, extended and increased overhead, home office overhead, liquidated damages, cost escalation and lost profits. He has analyzed claims submitted by contractors, subcontractors, owners, and architects. He has provided guidance on various types of projects, including: bridges, tunnels, power plants, sports complexes, manufacturing facilities, hospitals, hotels, and government buildings. In addition, he has made presentations on construction accounting and damages matters to industry personnel. Mr. Murray has assisted policy holders value, submit claims, and ultimately recover monies under various insurance coverage including business interruptions, extra expense, and property damage. Natural and man-made events leadings to claims have included hurricanes, floods, fires, structural and mechanical failures, and chemical spills. Mr. Murray has provided fraud and investigative accounting services relative to fraudulent or improper activity, tracing of assets, and piercing the corporate veil.